What does the firewall do? The best no rooted firewall app? In today’s world of technology, people get more and more dependence on the internet, and it reflects in the growing importance of your personal information that can be used in order to boost the sales of products. That´s why many people are the potential victims of cyber threats which are planted by people looking to steal personal data. It happens not only when you’re surfing the Internet, but also some of your applications can access the web without notifying you. They open the door for threats and malicious activities. That´s where a firewall can help to be a shield between your digital device and the web. It filters information that is sent and received by following certain rules, blocking malicious data. So then its impossible to access and steal information pertaining to your bank account and passwords. 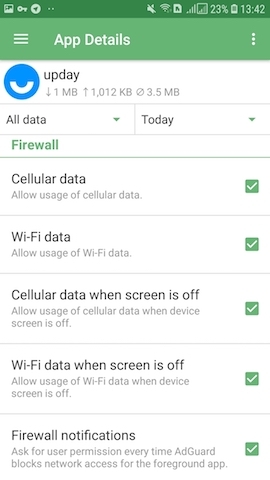 In this article, we will tell you about how to get the best firewall on your Android. If you search the internet for a firewall program for your smartphone, you´ll see that most of them require a rooted device. But rooting makes your device pretty vulnerable to security threats, and there is no doubt that rooting a device is much more complicated than install one app. So, are there any applications that don´t need root? Of course, there are and they've evidently named no root firewall app. An application like that lets you control the internet access for the apps on your mobile device and they don't need to be rooted. 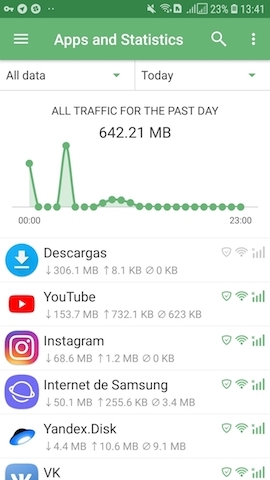 It just uses your local VPN that filters your traffic and you can choose which application has an access to the internet and which one doesn´t. No root firewall notifies you when an app is trying to access the Internet and all you need to do is just allow or deny them. All in all, it's a good solution for users that have rooted Android and want to have a control over their device. But we have an ultimate decision for you, that can solve much more issues of a modern user. We´d like to tell you about AdGuard for Android that has a whole section that can replace any other apps with a firewall. It´s “Apps Management” (=Firewall) module that gives you flexible control over your installed apps as well. It can deny Wi-Fi or mobile network access to active apps. You can create rules or change them and apply settings to all apps or select the ones you want to control. Furthermore, AdGuard for Android solves other privacy issues. It protects the user from malware and spyware and saves personal data from online gathering systems. To sum it up, AdGuard combines various features. It blocks ads and filters annoying elements such as pop-up windows, cookie warnings, contact forms, etc. It can filter traffic via protected protocol HTTPS, and it has a special module that protects your device from visiting dangerous websites. Also, it prevents malware from being downloaded onto your smartphone or tablet. As it was said above, AdGuard for Android protects your personal information from automatic gathering systems that try to get information about IP addresses, information about the browser and operating system, screen resolution, and even what page the user was redirected from. By activating this filter, the user will be protected from tracking. The most important thing is that the information of the user is not transferred anywhere, and the servers of AdGuard don’t know which sites you visit as the information is performed via hash prefixes. In conclusion, AdGuard for Android can easily replace any noroot firewall application, giving more features and enhancing the users´navigation experience. If you´re looking for Android firewall without root, you can easily download and install AdGuard and forget not only about tracking but also about advertisement and phishing.